We have a specialist team who deliver car parking surfacing throughout the Coventry, Warwick area. We at CR MacDonald are committed to giving you the best service possible. This is why we have a team of highly trained operatives that are all certified and insured; who undergo regular training on new techniques. We have a specialist team who deliver car parking surfacing throughout the Coventry, Warwick area. Our teams are very professional and will make sure they are always performing appropriately. We understand that you demand excellent quality surfacing work, and we promise to deliver. 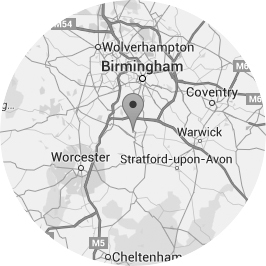 To ensure the best surfacing, we only use the finest materials and the right equipment to produce high-quality surfacing Coventry, Warwick and other neighbouring areas. Potholes are the bane of every driver, which is why we are determined to fix potholes to the highest standard; to limit the potential of them reappearing in the near or faraway future. Our skilled teams have great amounts of experience in dealing with pot hole repair Coventry, Warwick. You can rest assured that you are in great hands. Our workforce is always ready and dedicated to completing their projects to the best of their capabilities; as they strive to provide a high-quality service. No matter how big or small, our car park surfacing Coventry, Warwick will get the job done properly; in a neat and efficient manner, so both customer and workers are left happy with the job done. If you have any questions regarding the car park surfacing or our pot hole repair services, contact our team in Coventry & Warwick today.